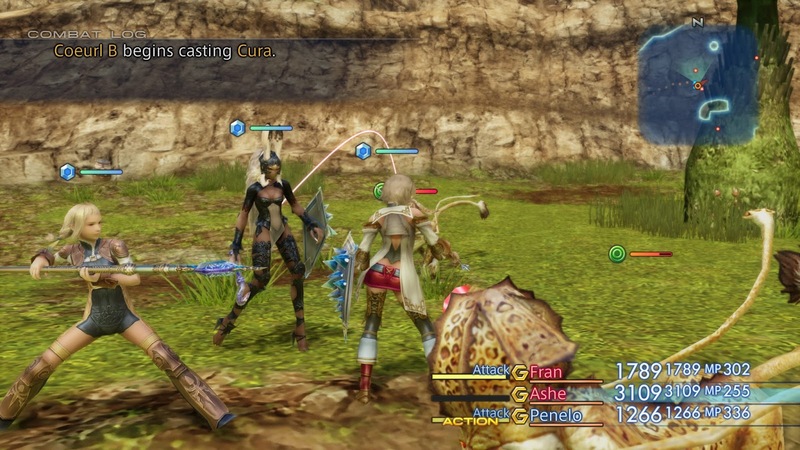 Across the three most modern PlayStation consoles - the PlayStation 3, 4, and Vita - there are just two Final Fantasy games that are currently not available for play in some form: Final Fantasy XI, the effectively defunct MMO, and the greatest game in the series, Final Fantasy XII. 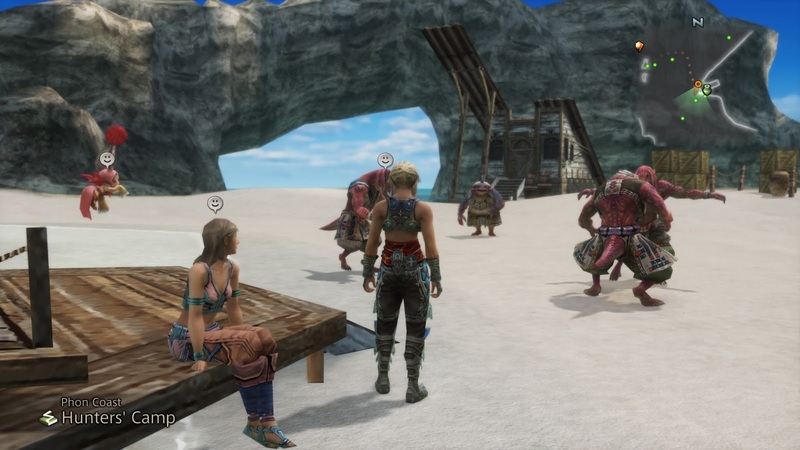 Related reading: For an idea of just how good these HD remasters can be, read Matt's review of the remaster of Final Fantasy X here. I realise it’s a contentious statement to say that Final Fantasy XII is my favourite, but it is what it is. From its truly exotic Middle Eastern-themed setting, to its truly entertaining cast, intricate combat system, and sheer sense of scale, this is a game that I have long pined to play again. Thankfully Square Enix has decided to give the game a similar HD remaster treatment as the Final Fantasy X/X-2 package from a couple of years ago. Having had some time with this HD remaster (Final Fantasy XII: The Zodiac Age), I have come away so happy with the results. This is a game that feels every bit as modern as any other JRPG on the PlayStation 4. Perhaps even more so. “Final Fantasy XII had a very multi-layered construction; it’s largely about a war between two nations, but it’s also a story of a point of history in Ivalice, and about the actions of a few individuals in Princess Ashe and the others,” Producer of Final Fantasy XII: The Zodiac Age, Hiroaki Kato, said. One of the reasons I think this game is still so relevant now, 11 years after the game was originally released, is that there are a number of different layers to the storytelling. “If you think about the modern world that people will be playing this in, I think that in some ways there’s even more of a match with the current state of global politics. You may see some things that are more relevant now than they were back when the game was new,” Kato added. 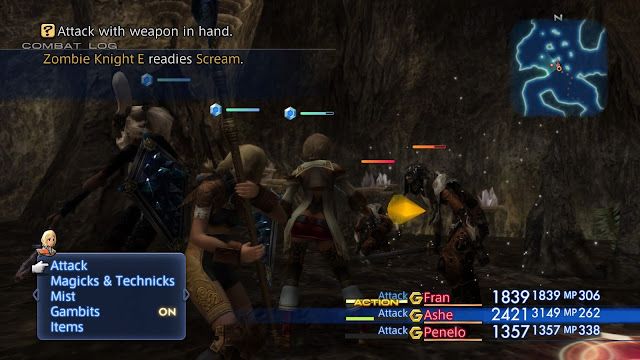 Final Fantasy XII was an oddity for the series in the way that it avoided taking sides, insofar as that is possible for a game in which you’re in control of one group of heroes at war with another. However, the team of heroes led by Princess Ashe would do questionable things at points through the narrative, and if you were to shift your perspective of the conflict to that of their enemies, you’d see that there was often a strong moral position backing it. 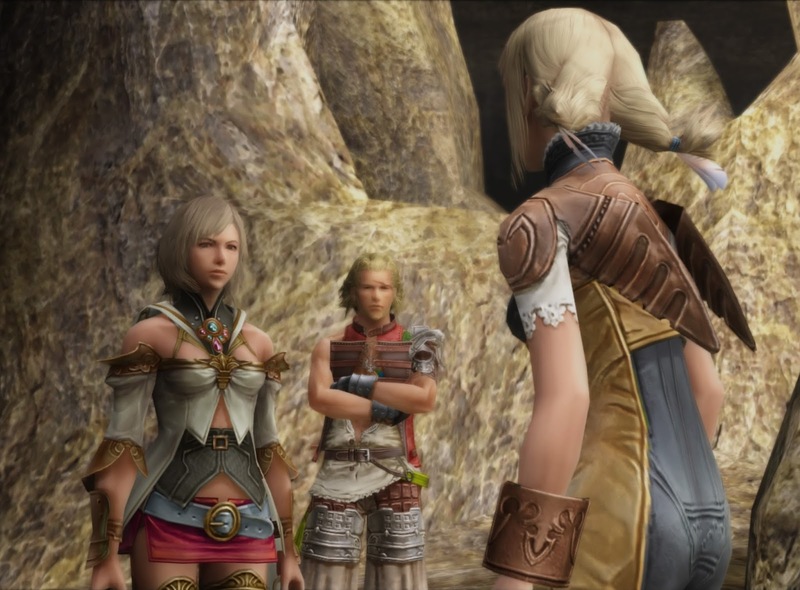 Final Fantasy XII is as relativist as the series has ever been, and that makes it quite modern at a time when relativism in the most critically lauded JRPGs tends to be the popular way to go. In my hands-on session with the game, I was given access to a heavily forested area (with one of the most frustrating bosses in the entire game; fans of the original will remember that darned forest dragon), as well as a beach area, which I’m fairly certain was selected just to show off how beautiful and picturesque the HD version of the game will be with those scenic views. It was a meaty demo session, and in the two hours I was given to play, I got to reacquaint myself with the combat system, the expanded Zodiac Job board, and Ashe’s legs, which are just spectacular in HD. 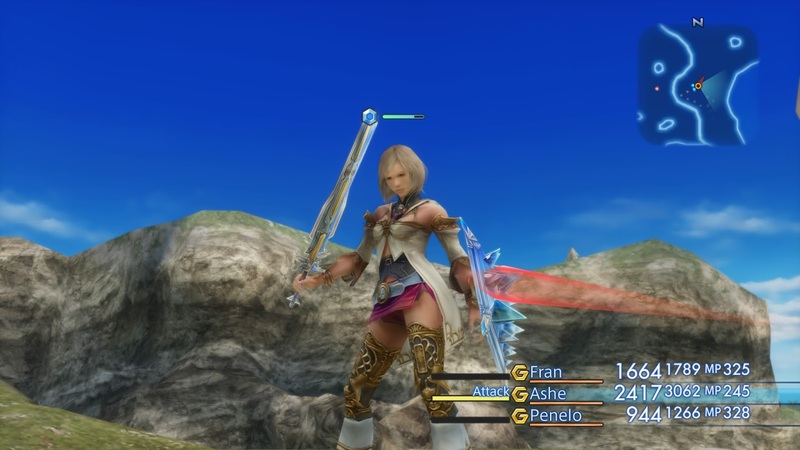 One thing that’s immediately noticeable is that the visual changes between Final Fantasy XII and its remaster are subtle at best. The original game was a masterpiece of art direction, with soaring, gorgeous architecture and exotic wilderness areas to explore. It’s a basic reality that, aside from upping the resolution, not a lot has changed there. Related reading: Read Matt's review of the most recent Final Fantasy, Final Fantasy XV, here. One thing that has completely changed, however, is the musical score. Final Fantasy XII has a truly unique musical score for the series. Composed by Hitoshi Sakimoto, it was the first major single player Final Fantasy game that had not had its music crafted by Nobuo Uematsu. That was always going to mean that this soundtrack would be divisive, but, in complement to the game’s art direction, that same unique soundtrack helped to set the scene of an exotic, beautiful, Middle Eastern-themed world to explore. For the PlayStation 2 game, Sakimoto made heavy use of synthesizers to perform the music. It worked, but in the modern era of Final Fantasy, where production is of the highest standard possible, the entire Square Enix team saw an opportunity to give players a new, deeper soundtrack to further enhance the experience. “Originally the plan was to have the original soundtrack and the CD soundtrack. But then we were talking to Sakimoto, and he had a very strong desire to redo the whole thing with an orchestra,” Producer, Takashi Katano, said. The effect on the game is noticeable. 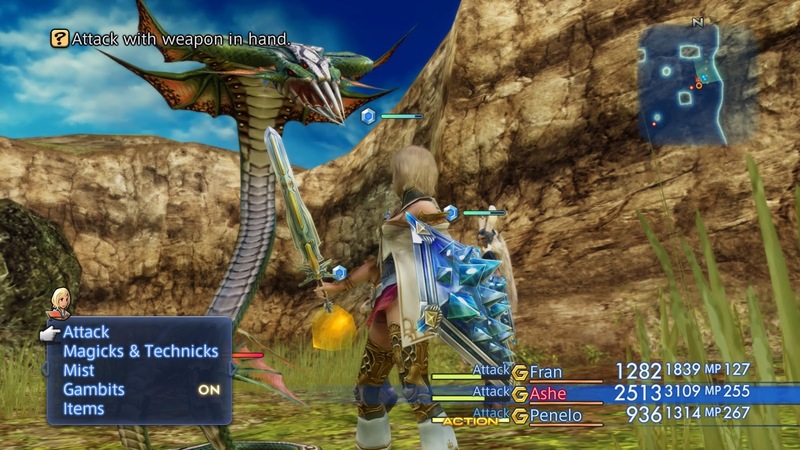 It’s possible to switch back and forth between the original soundtrack and the re-recorded version, and the depth that the soundtrack gains when played by an orchestra further enhances the grand scale that the game constantly strives towards. For people who haven’t played Final Fantasy XII before, the combat system often feels like it’s a single player MMO. You’re in control of a single hero at a time, who will attack on autopilot until given commands. After each attack or special ability there’s a cool-down period. Meanwhile, you have two allies on the field at once, and they fight according to a series of commands that you set up for them. This “gambit” system is one of the most fascinating, tactical parts of the Final Fantasy XII gameplay, and it really does get deep. Basically, you’re tasked with setting up a flowchart of conditions that the game constantly checks against. For example, the top command might be “If ally has less than 30 per cent health, heal that ally.” The second command might be “if enemy has a weakness to fire, cast fire on that enemy.” The third command might be “physically attack enemy” As long as the ally has more than 30 per cent health, that command won’t be activated. If the enemy has a weakness to fire, your ally will cast fire on them, else they’ll just attack the enemy. But at the moment one of your character’s health drops below 30 per cent, the ally will stop attacking and heal their buddy. This flow of commands is quite 'programmer-like' in the logic it encourages, but with hundreds of different conditions and commands, it is a highly adaptable and strategic system that you could easily spend hours with. 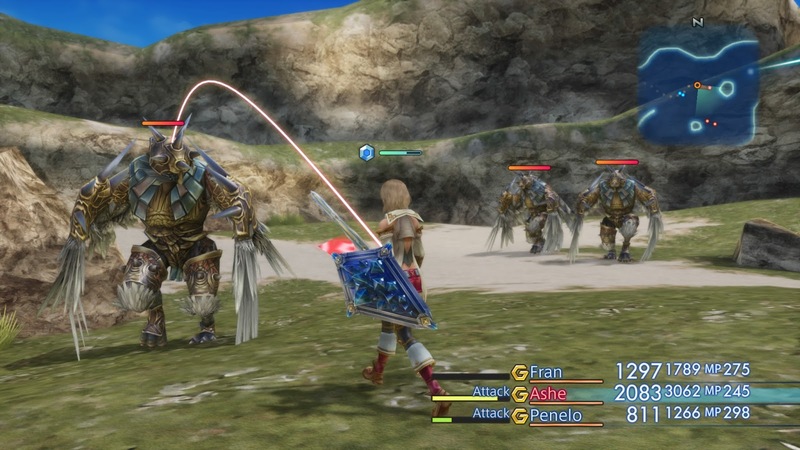 Such is the strength of the system that Kato’s team created an additional gameplay mode for The Zodiac Age to really show off what it can do. Having played Final Fantasy XII many times over the years, stepping back into the game felt like putting on a well-worn glove. I already knew the basic gambit setup that had worked for me many times in the past, and after messing around in the tweaked job board (there’s much more character customisation available now), I was ready to step back into the world. The combat system feels relevant to this day. 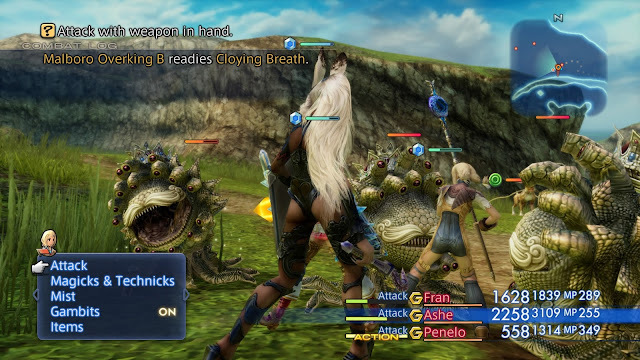 While there are many JRPGs that are veering to ever more fast-paced action (Final Fantasy included with XV and Type-0), the design of Final Fantasy XII is such that there’s still plenty of movement and energy on the screen, while also giving players the time to think through some tactics on the fly. I’d actually forgotten a couple of specific gambit commands I needed to easily defeat the forest dragon boss, for example. After struggling with him at first, I recalled how I used to do it in the past, and was able to shift gambits around as I went along; the boss hit hard, but also gave me the moments I needed to collect my thoughts about what I needed to do differently. Related reading: For more insights into Final Fantasy, check out this interview by the producer that was responsible for the brilliant Final Fantasy Type-0 here. And that’s partly why I love Final Fantasy XII so much; it straddles that line perfectly between the traditional approach to JRPGs that were about careful tactics and party construction, and the new energy, scale, and drama that modern fans expect from the game. Beautiful, entertaining, deep, rich, and clever, Final Fantasy XII: The Zodiac Age is going to be a special experience, and for a classic game, this one has aged with the grace of the finest of wines. Also, Ashe really does have the best legs in JRPG history. She’s forever my JRPG princess. To conclude the chat I had with Hiroaki Kato and Takashi Katano, I asked them what their favourite characters were from the game.